As part of our upcoming Tournaments Update, we’re adding a new way to identify and curb player abuse and harassment in Rocket League. To go along with Game Bans that we already issue when players are in violation of the Code of Conduct, Chat Bans will be the new first step in addressing abusive language and toxic behavior in game. 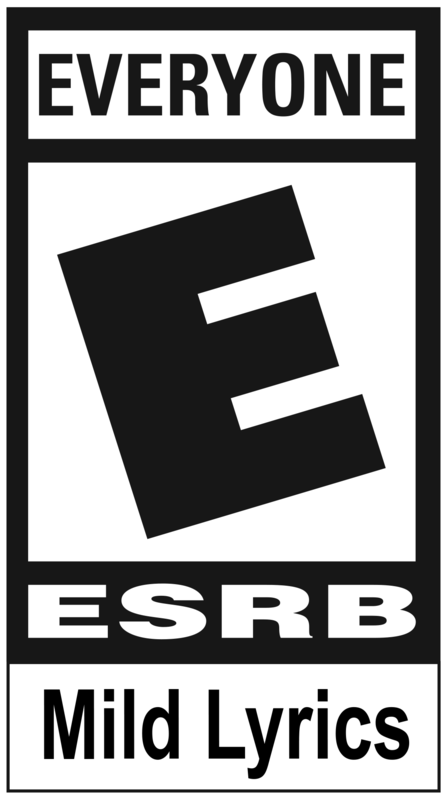 A player is reported for using abusive language in chat while playing an Online Match. Our system scans the complete chat log tied to the match in question. If a player is found to be using language that goes against the Code of Conduct, our system will then remove that player’s ability to chat in matches for a period of time, starting with 24 hours. Players can receive Chat Bans ranging from one day to up to one month. 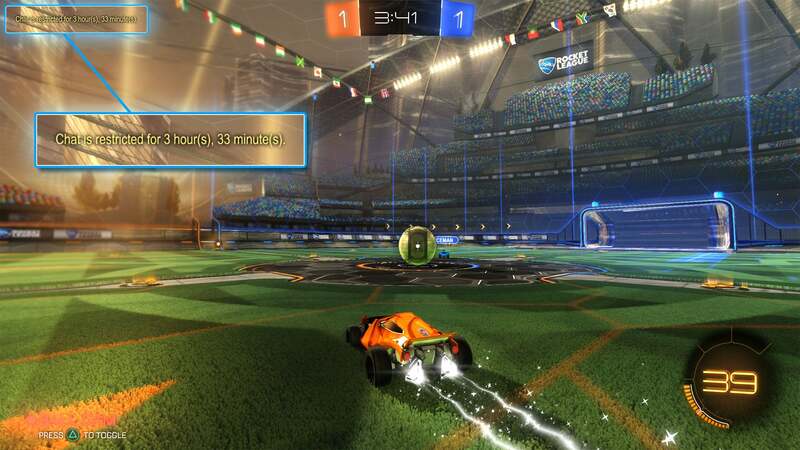 Chat Bans do affect your ability to use Quick Chat as well, as affected players will only be able to use Quick Chat functions once every five seconds. Chat Bans will not extend to Private Matches or Party Chat in Online Matches. 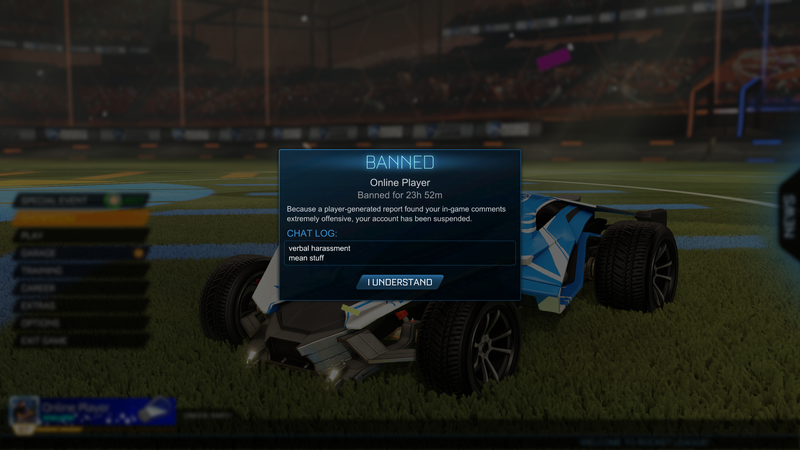 When a Chat Ban is levied against your account, you’ll receive an in-game notification showing you how long you’ve been Chat Banned for, and the chat lines that triggered your Chat Ban. From here, you’ll know what kind of language to avoid in the future. 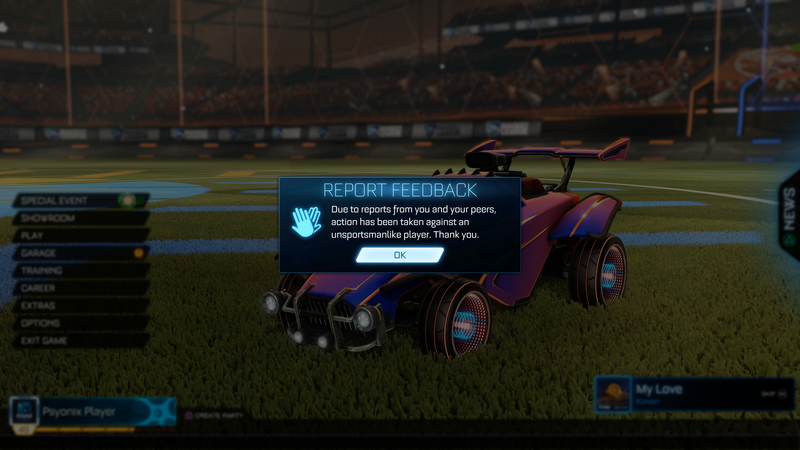 Additionally, starting with the Tournaments Update, you will be notified via pop-up in the Main Menu if a report you filed against another player led to an action taken against a player in Rocket League. You will not know which player this feedback is in reference to, as we want to keep specific player names and other related data private. We hope these additions lead to more positive in-game exchanges, and as always let us know what you think on r/RocketLeague, Facebook and Twitter.. We’ll see you in the Tournament brackets next week!